Each year ROW seeks to hire a motivated individual interested in sharing the wonders of nature with children and families in an outdoor adventure setting. 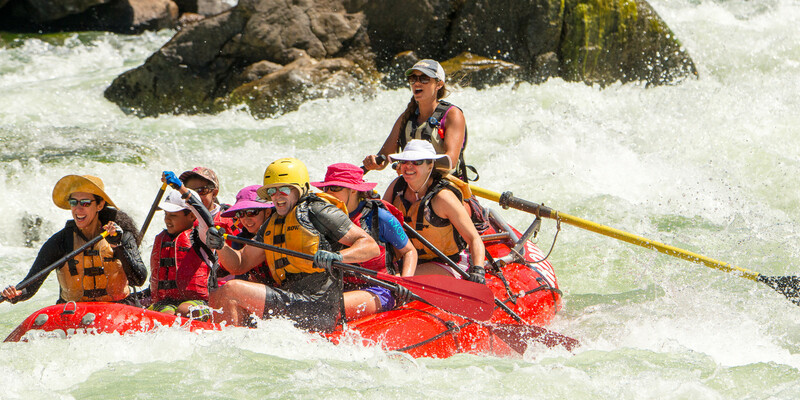 The River Jester assists ROW's guide staff on all "Family Magic™" trips on the Salmon River Canyons, four and five day trips designed for families with children ages five to 14. Like Swampers (see Swamper Job Description for more information), the Jester helps pack up camp each morning, rides on the cargo raft down a beautiful, remote whitewater-filled canyon during the day and helps the cargoboater set up an attractive river village. While in camp each afternoon and evening, the Jester leads a range of nature-focused activities and games for children and families. River Jesters join an experienced staff of fun-loving, thoughtful and talented outdoor professionals with a tremendous passion for the natural world. Being a River Jester can be hard, physically demanding work, full of long hours. Yet it is also immensely rewarding as you share the wonder of nature with children in a remote river canyon. Does this sound like your kind of adventure? Then apply to join our team!